As the citizens of New Orleans are living in historical times; its first woman Mayor LaToya Cantrell, is rolling up her sleeves and pushing forward with her vision for NOLA. 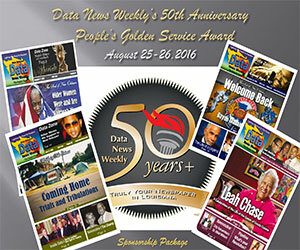 On this day Data News Weekly was able to get an up close and personal look at a day in the life of Mayor Cantrell. Seated out in the lobby were a cadre of different stakeholders representing various interest. A note that seems to ring true of her campaign that all voices matter and is a testament and symbol to her commitment of a City moving Forward Together. It is the eve of her first budget as mayor (passing unanimously in the City Council the next day). We enter her office, it has a bright spring like feel; which is a stark contrast to the cold, wet, dark and dreary day outside. Data News Weekly Publisher Terry Jones and I are warmly greeted by Mayor Cantrell, who we sit with at a large conference table. The Mayor begins with a laser like focus talking about the budget and her vision for the city. It is one that is holistic and inclusive. While this sentiment is one that’s been echoed by previous Mayors; Cantrell, stresses inclusion as one of her top budget priorities, professing that if the City is to continue to be a world class City, it must address issues of inequality and quality of life. 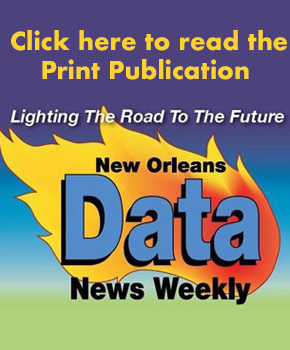 The New Orleans City Council approved the 2019 City Budget. The approved amount for the general fund is 702 Million; in addition, 419.6 million dollars is part of the budget from grants, Intergovernmental transfers and special funds. In total over a one billion dollars, according to Mayor Cantrell. Her first budget includes a 10 percent pay raise for more than 2700 employees, which includes members of the New Orleans Fire Department. Some of which who have not seen a pay raise in over a decade. “It is important that the people who work for our city are better compensated. I believe we need to set the tone and hope that in the private sector they can replicate this and pay the hardworking people of our city a better wage. This is something that can help in improving the quality of life for all our citizens,” says Cantrell. Another issue relating to inequality is the lack of affordable housing. The Cantrell Administration is allocating 10 Million dollars towards this effort. 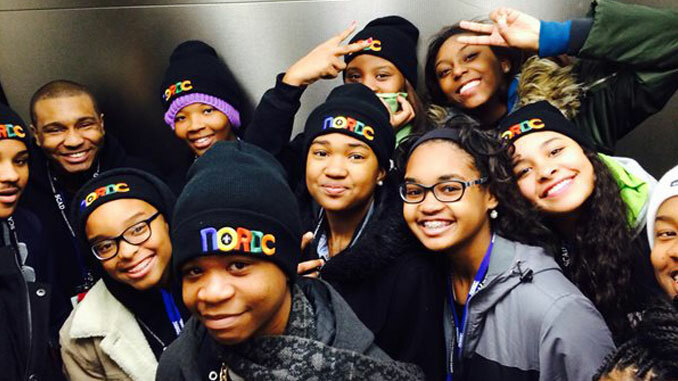 As some of the City’s youth find limited opportunities and structural roadblocks that impede them from striving to reach higher; resulting in some turning to crime and violence at a young age. The Cantrell Administration has introduced The Office of Youth and Families, a program that will serve as an alternative to the Juvenile Detention Center for non-violent offenders. 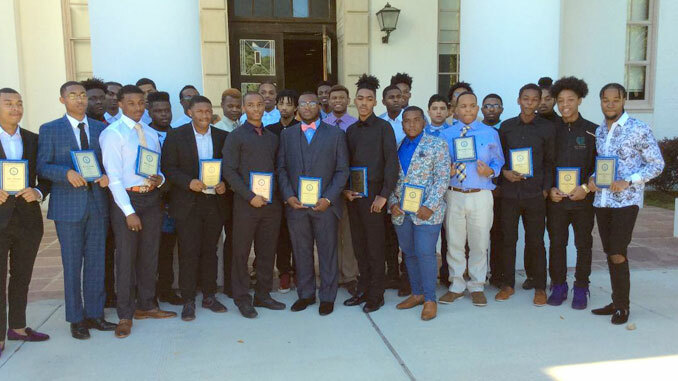 Additionally, funds have been allocated for a non-profit group that represents juvenile defendants in court. Another part of this holistic approach builds on the theme of assisting children; with 1.5 million dollars earmarked towards early childhood education. The program will provide money for daycare for 100 children younger than 5. While there is a much greater need for more programs of this sort, the City making steps to invest is a vital first step. This program will cover infants and toddlers as well as those preparing for kindergarten. This in turn giving parents much needed opportunities to work or enroll in job training programs. 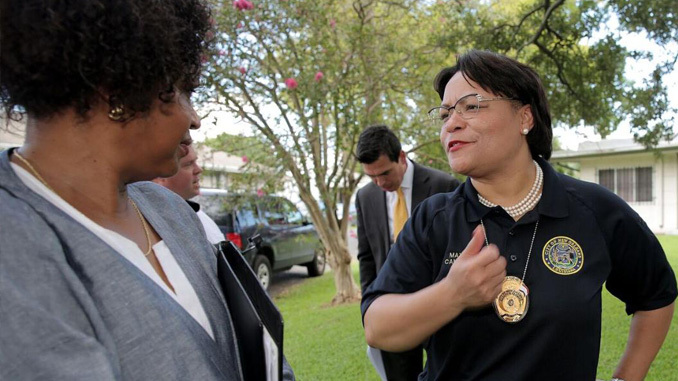 Public safety is atop Mayor Cantrell list of priorities. While being tough on crime; Mayor Cantrell is taking a more balanced approach and is also looking at it as a public health issue. Taking the challenges head on that the city faces and putting resources behind what she feels can lead to possible solutions. In the area of public safety, a reported $236 million in general funds have been allocated. This includes monies for additional resources for first responders; monies for police recruiting; funding and a re-imagining of the Ceasefire Program and rebranding it as the Cure Violence Initiative. Mayor Cantrell has also created the New Office of Youth and Families. “It’s been about realigning resources, breaking down silos and getting out of the habit of saying this is my department budget,” the Mayor said during a press conference touting the 2019 budget. In the budget there is some positive news for the city’s motorists. The Traffic Cameras that has been a source of controversy since their inception is being reduced as part of a proposed phasing out of the program. This is part of the Mayor keeping a campaign promise to take steps to eliminate traffic cameras. Economic inclusion of minorities is a problem that continues to be a problem in New Orleans. In Cantrell’s first budget $250,000 is earmarked for the Office of Supplier Diversity, which tries to ensure that city contractors comply with rules for hiring businesses owned by women and minorities. While the City of New Orleans have over a 1-billion-dollar budget, Cantrell says the city should receive more of the city’s revenues that go to the state, so it can re-invest in the City. Making a call to action for the citizens. Mayor Cantrell cites, just how small amount of the revenues New Orleans produce goes back into running the City. Also speaking of the disparity compared to other cities. Whether one is walking, riding a bike or driving a car. It is not hard to spot the eyesore that is trash around the City. It has become an unintended consequence of a city that has a laissez faire attitude towards life. This is something that impacts the quality of life for all the citizens of New Orleans. Further, it discourages investment in some parts of the City. The City, under the Cantrell Administration plans to prioritize places where investment is needed; something that will not only make certain areas of the city attractive for investment and to live, but the entire city. It has been less than one year since Cantrell was sworn into office as Mayor. It is a story that continues to unfold and being written. How this historic story will be told to future generations is unknown.